When the temperatures drop and the days get shorter, venturing outside of the house can be an effort. Luckily, there’s lots happening on your doorstep to entice you into the world. Even though it’s the last thing you may feel like doing if it’s cold, going for a walk or bike ride always feels great once you’re out there. 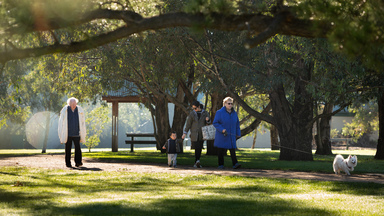 Rug up and hit one of Boroondara’s scenic walking or cycling paths. With thought-provoking exhibitions, nights filled with music and a host of inspiring events, Hawthorn Arts Centre, Town Hall Gallery and Kew Court House are destinations to move you this winter. Winter’s the perfect time to fire up your brain cells and spend time learning something new. Myriad short courses are held at local Neighbourhood Houses, and our libraries have numerous one-off events throughout the year. If you’re retired or semi-retired, you can join Rotary or a Probus club, learn a new skill at the University of the Third Age or get physical at a Life Activities Club. 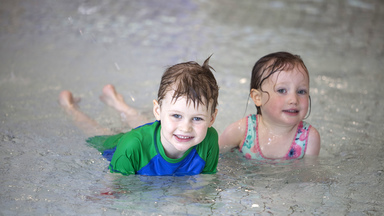 It’s always warm at a leisure centre! Whether you’re cruising the lanes of the heated pools, moving to the beat of an exercise class or being put through your paces in the gym, one of Boroondara’s four aquatic and leisure centres will get your blood pumping this winter. Rain, hail or shine, there is always something happening at one of our libraries. Read quietly in the warmth, attend an event, use the facilities to study and make your local library a home away from home. If you’re feeling especially lazy, you can access the library online from your loungeroom. On the third and fifth Saturday of the month, head down to Patterson Reserve, Auburn Rd, in Hawthorn East and enjoy the festive atmosphere and fresh, seasonal produce at the Boroondara Farmers Market. Every Sunday, the carpark in Station Street, Camberwell, turns into the Camberwell Sunday Market, with over 300 stalls selling quality secondhand goods. And on the first Sunday of the month (March to December), Hawthorn Arts Centre is host to the unique and creative talents of the Hawthorn Makers Market. 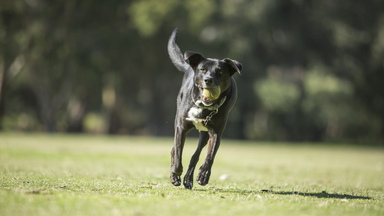 Boroondara has 45 off-lead dog parks for your dog to play in. Enjoy the camaraderie of fellow pet owners and warm your heart watching the antics of dogs cutting loose.